Dennis Rainey, of Family Life, provides some very good advice in his “Moments with You” blog. I like the specificity with which he has called out a plan that should help to keep partners feeling connected. Even with six children they made the time to adhere to this schedule. It can be done it is just a matter of priorities. Barbara and I have long enjoyed the benefits of carving out time together as a couple. It was something we committed to early in our marriage. Even with six kids and all the natural activity that ensued, we pretty much stuck to our guns, and everybody reaped the benefits. Do it daily. The mere fact that you're reading this book tells me you understand your need for at least a few minutes each day to square up and seek the Lord together. Do it weekly. I've been telling people for years about Barbara's and my selecting Sunday night as our sacred time to grab a booth at our favorite cozy little restaurant, The Purple Cow, and sync up our schedules. 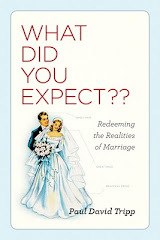 We have seen God supply answers as we talked about the children's school needs, various discipline issues, major purchases and other elements of our marriage relationship. .
What marriage wouldn’t benefit from charting a course for the future and building romantic fires on a regular basis?